A fresh theme with a unique look. 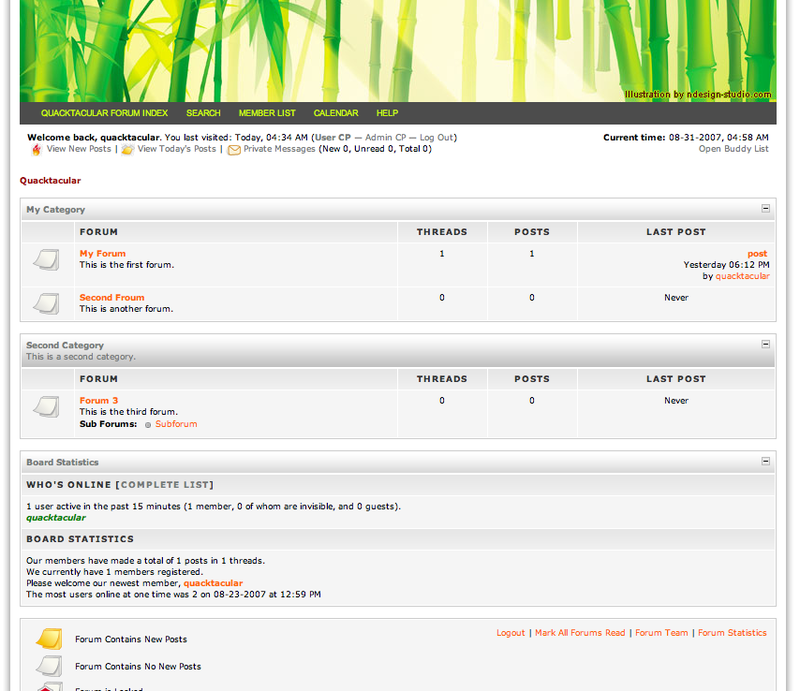 Originally a phpBB style created by N.Design Studio, this theme has been converted to a MyBB theme. It has a striking look and a few interesting features. The header comes with 10 different random header images. They can also be switched out for your own images or replaced with a static header.